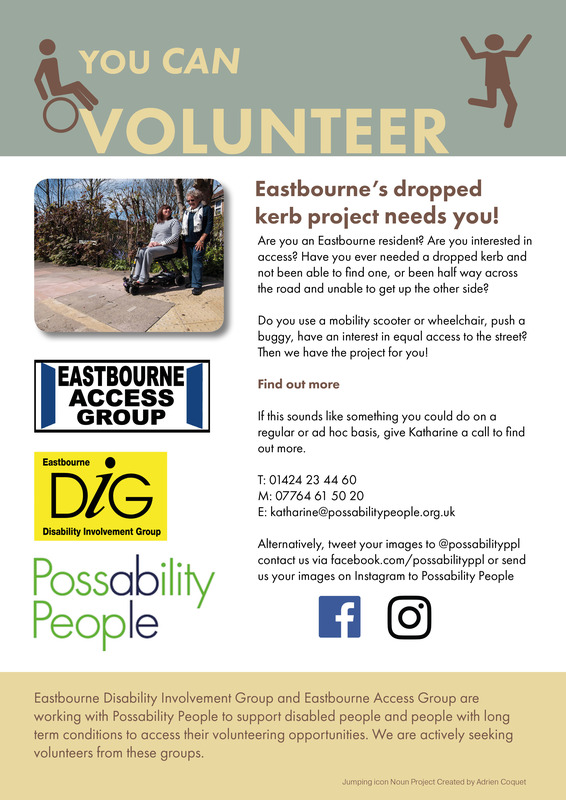 We have been working with a number of voluntary groups in Eastbourne to help them recruit more disabled volunteers. One of the things we have done is a poster campaign (the posters are below). This is something we might be able to do for your group too. 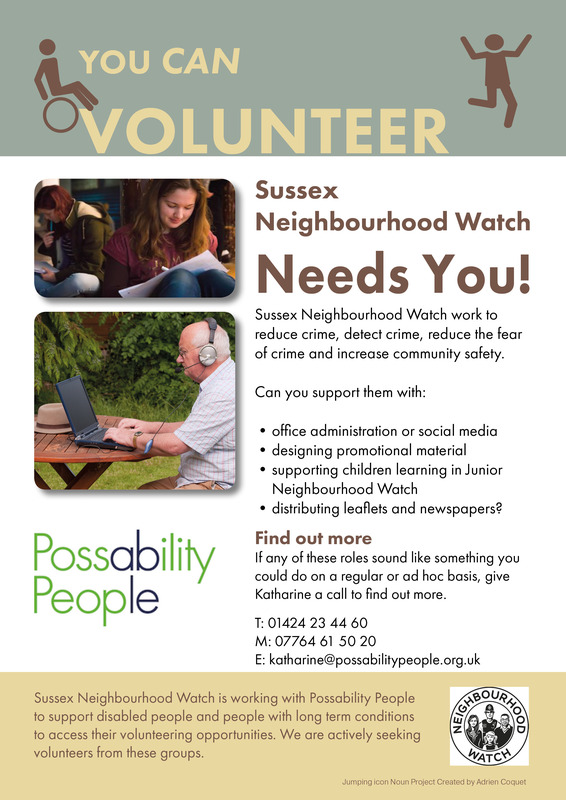 If you’d like to find out more, please email katharine@possabilitypeople.org.uk to find out more. 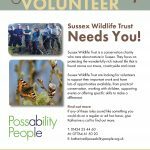 We will also be providing information on training, through The Volunteer Centre East Sussex, with a new training programme coming soon. We will update this page with dates as soon as we have them. The Eastbourne Herald has a weekly opinion column called Disability Today. 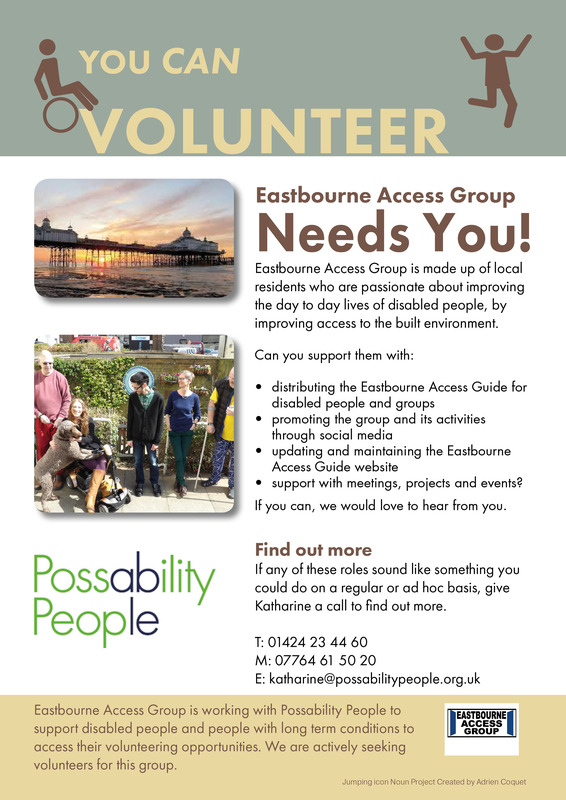 It is written by Eastbourne Access Group. Disability Today. This week’s column features Possability People. 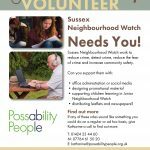 Sussex Neighbourhood Watch Needs You! 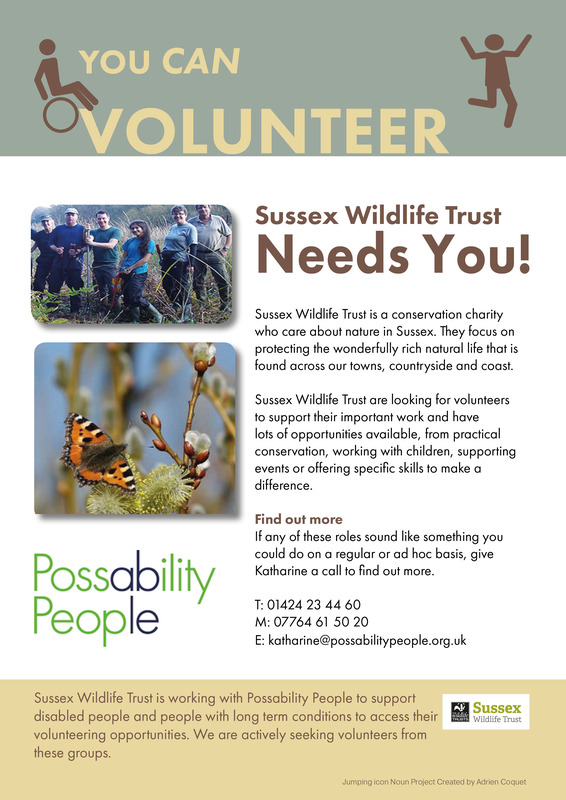 Sussex Wildlife Trust Needs you! 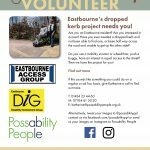 Eastbourne’s Dropped Kerb Project Needs You! 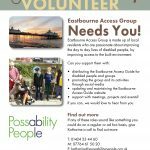 Eastbourne Action Group Needs You!